The Orphan did for adoption what Jaws did for swimming in the ocean and Isabelle Furhman’s performance as the sadistic girl is the biggest reason for that. Now, the young actress has landed the lead role of Suzie in the upcoming remake of the 1977 Dario Argento classic, Suspiria. Variety reports that Furhman has been chosen as the shy and timid dancer who travels to Europe to attend a prestigious dance academy with a dark secret. The remake is being directed by David Gordon Green (Pineapple Express) from a script he co-wrote with Chris Gebert. Production on the film will begin in September. I know that a lot of die-hard fans are probably pissed that this remake is even being made but there’s really nothing that can be done about it now. I think that Furhman is a great choice because she has proved that she can act and she does resemble Jessica Harper, who played the original Suzie. How do you feel about this casting news? Previous Post Michael Biehn and Xavier Gens the New Dream Team? This casting news makes me want the film to be made! Consider me excited. I haven't seen the original but I am excited for the remake. 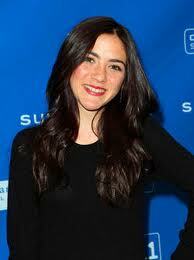 She did a great job in the movie Orphan so I know she won't let us down. With Isabelle Fuhrman as the dancer, I'm actually excited about this remake. She could deliver the performance that makes it stand out.